I was hoping to write a post about the calibration of my HP 6634A as the output voltage was a bit higher than what it should have been but as you can guess from the title that didn’t happen. Anyway, the day I decided to calibrate the HP 6634A I powered it up and also my HP3457A as they needed to warm up before operating to spec. However the HP 6634A let out its magic smoke. 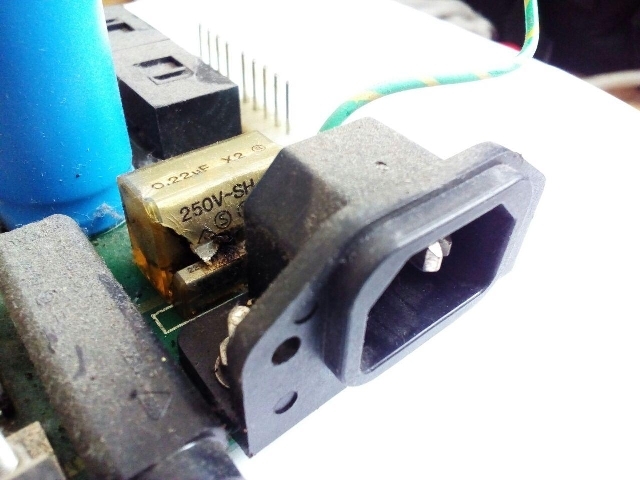 The main culprit is a 0.22uF X2 capacitor. As two other line filter capacitor didn’t look good I removed all three of them. As soon as I get to place an order for components I must remember to add the capacitors.